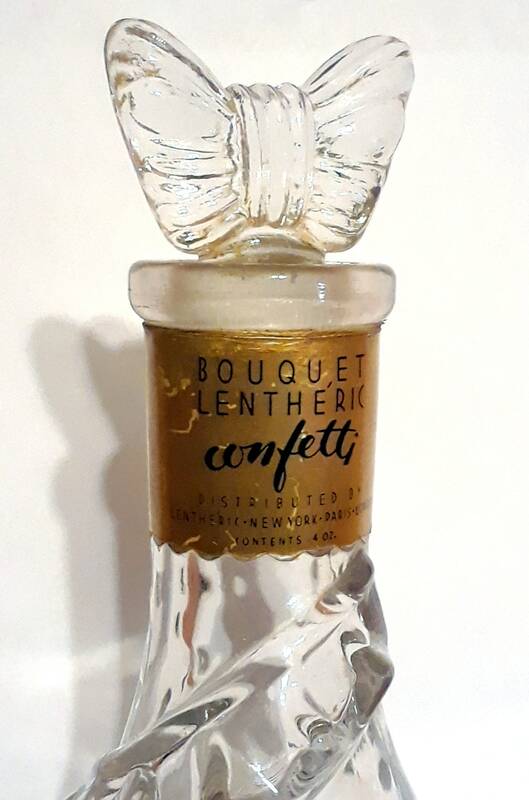 Vintage 1940s Bouquet Confetti by Lentheric 4 oz Petticoat Perfume Bottle Figural Bow Stopper. 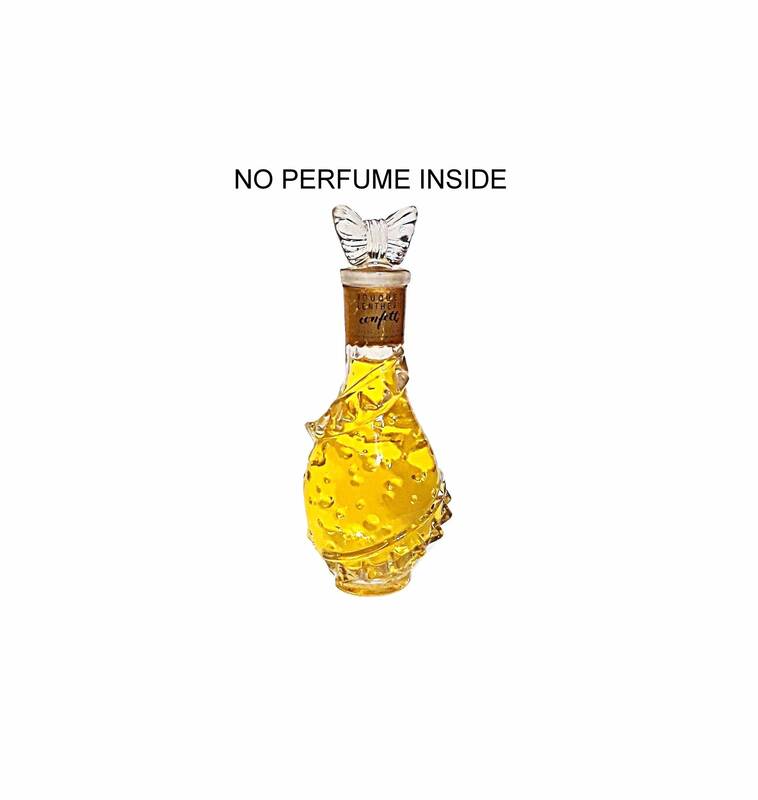 THERE IS NO PERFUME INSIDE!! 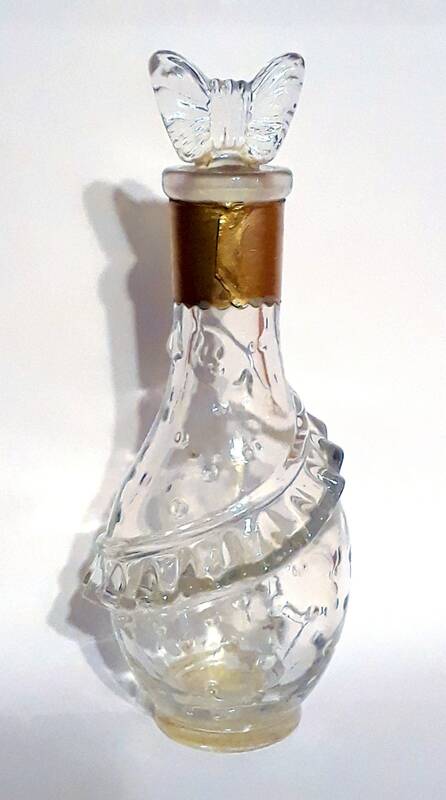 The label shows some wear. 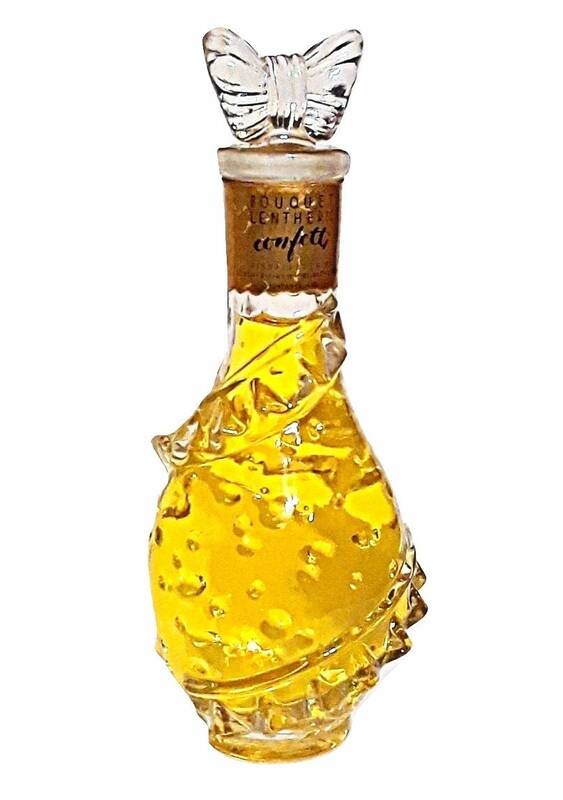 Bouquet Lentheric aux parfum Confetti was presented in a whimsical clear glass, long necked cylindrical bottle molded with indented hobnails and ruffles winding around its belly. 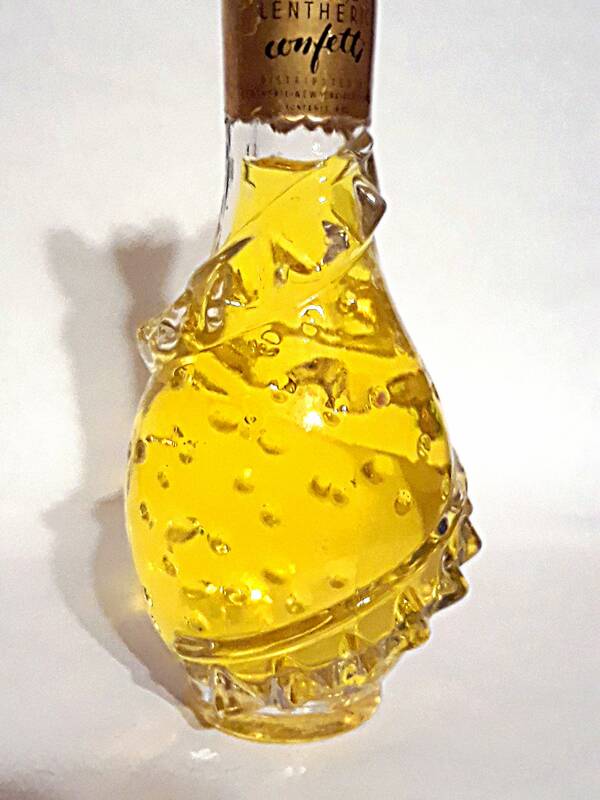 The bottle is a modified version of the petticoat bottle used for the pure parfum. 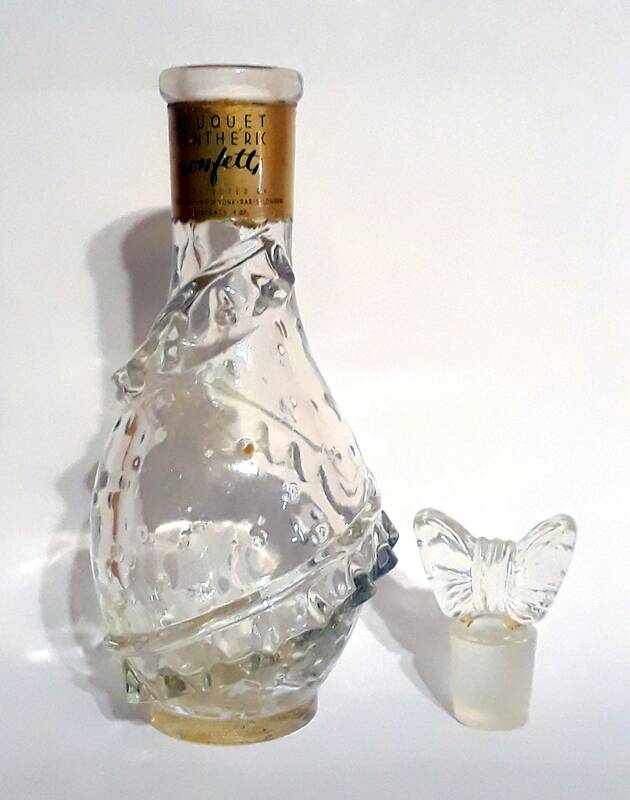 The glass stopper is molded in the shape of a bow. 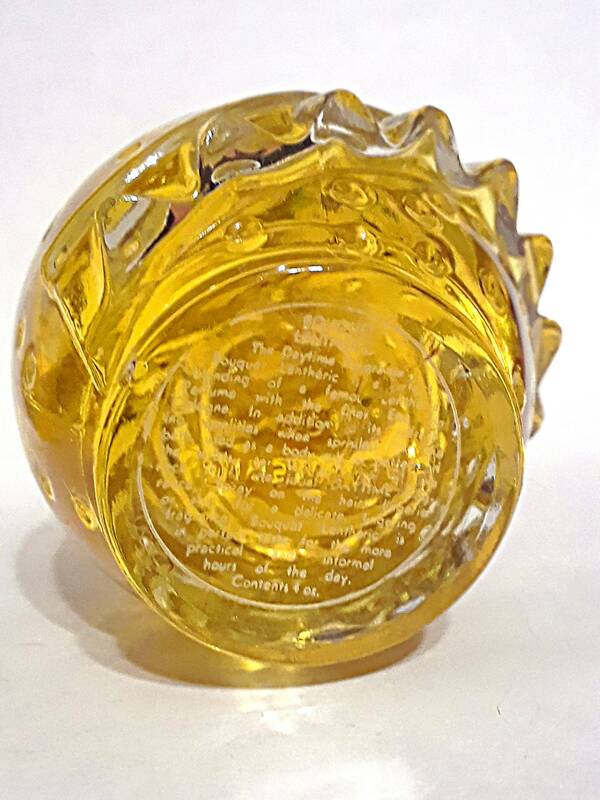 It came in various sizes from 4 oz to 8 oz. 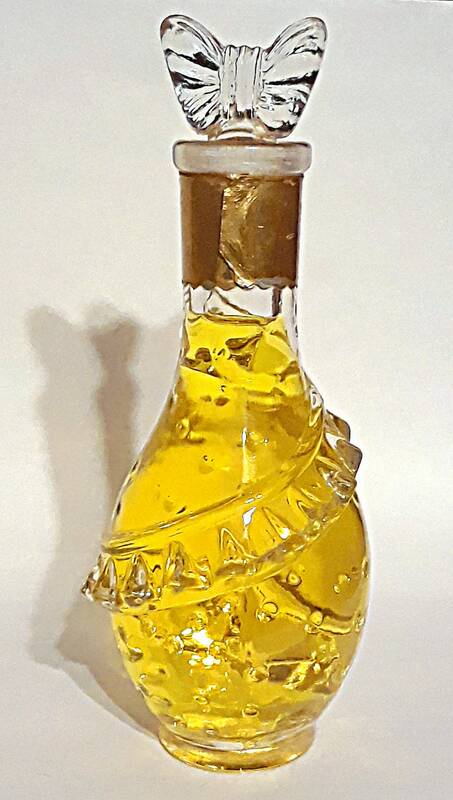 This 4 oz flacon stands 6 3/4" tall. 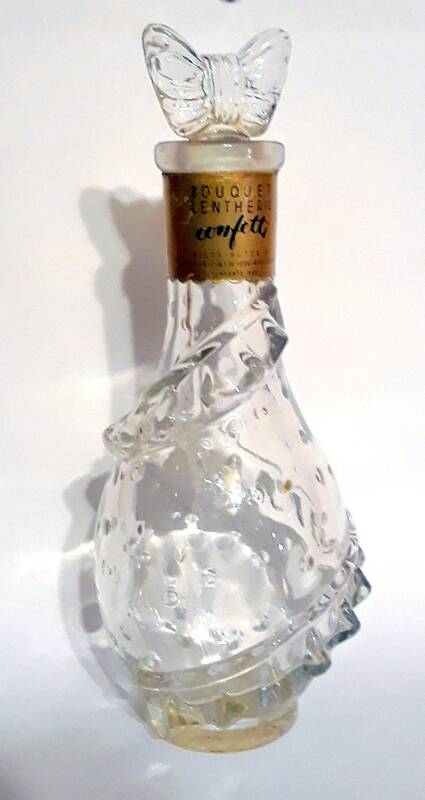 Confetti was launched in 1940. 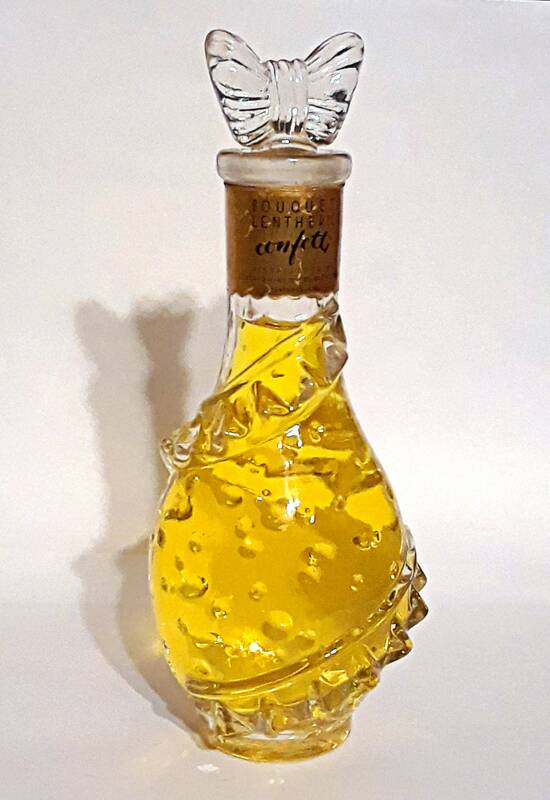 It was a light, but somewhat dry oriental chypre perfume with a woody-mossy-leafy balsamic base. Similar to Heaven Sent by Helena Rubinstein but weaker, lighter, and less lasting.